As we all know, it can be difficult to put together a great outfit when the temperature drops and winter gear becomes a necessity. 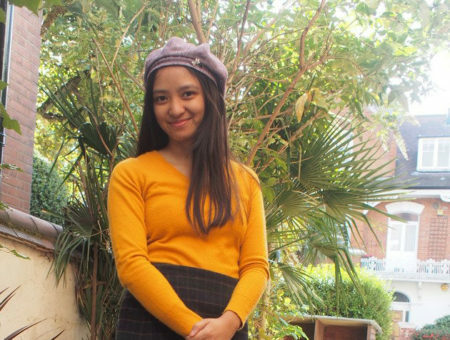 It’s so easy to lose your look under layers of bulky sweaters and a winter coat. That’s why Sydney‘s bright outfit really caught my eye one dreary, chilly day. Sydney pulls off her winter look flawlessly, incorporating eye-catching cold weather essentials into her statement-making outfit. 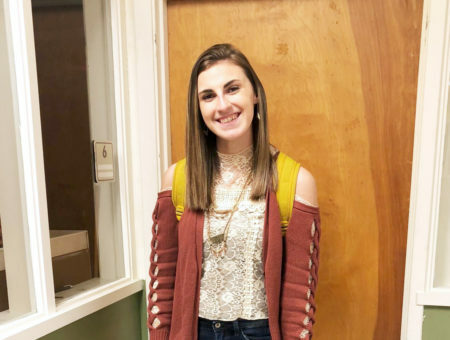 Read on to learn more about Sydney’s style! Sydney’s coat is perfect for brightening up a chilly day. The bold color lets the coat become part of her ensemble, as opposed to covering it up. 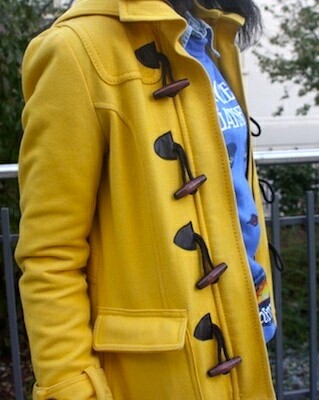 I love the toggle buttons on the bright yellow jacket; it gives a classic style some edge. This sweater is cozy and whimsical, and depicts the iconic cover art of The Great Gatsby. 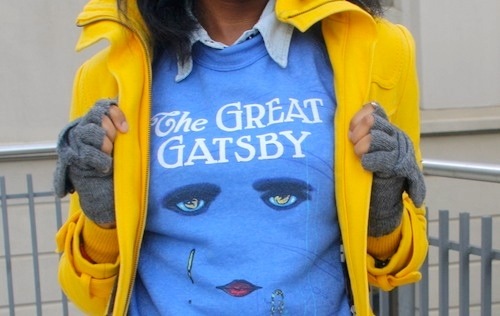 The sweater is also perfectly timed with the hype about the upcoming release of the Great Gatsby movie! 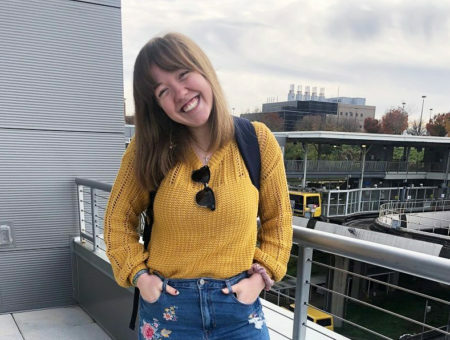 What do you think of Sydney’s look? What color coat are you wearing this fall? 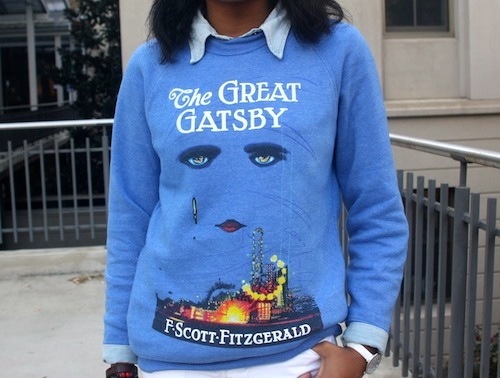 Do you love Sydney’s Great Gatsby sweater as much as we do? Let us know with a comment!